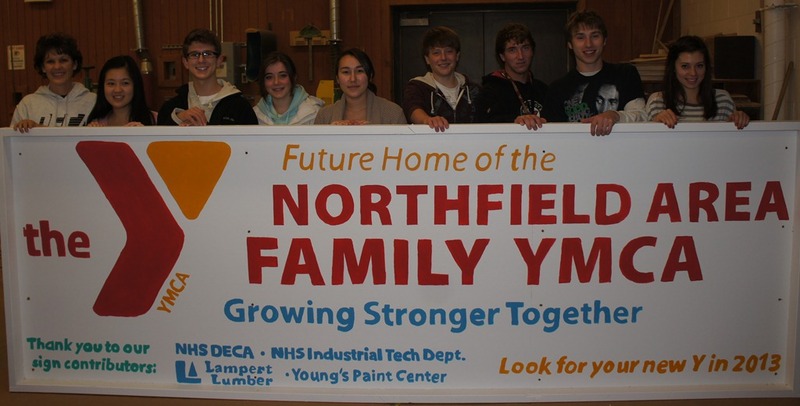 I have a story that might be fun for you to cover for Locally Grown Northfield involving a unique partnership between the Nfld High School DECA group and the Y. 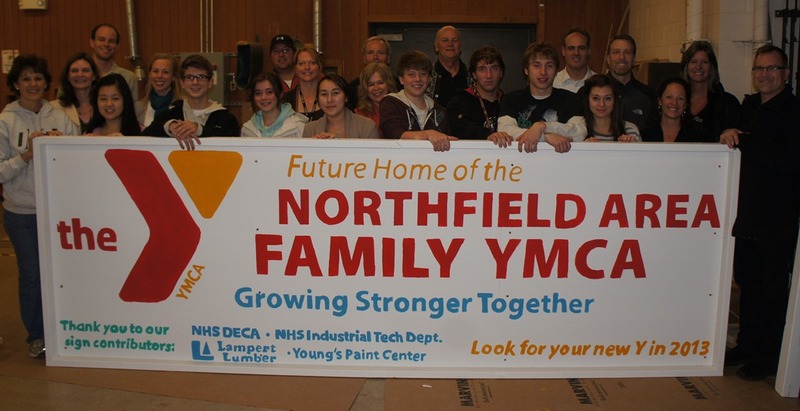 Tomorrow night at 7PM the DECA students will unveil to the Y board of directors the "Future Home of the Nfld Y" sign that they designed/created that will be installed on the new Y property this coming Sunday. 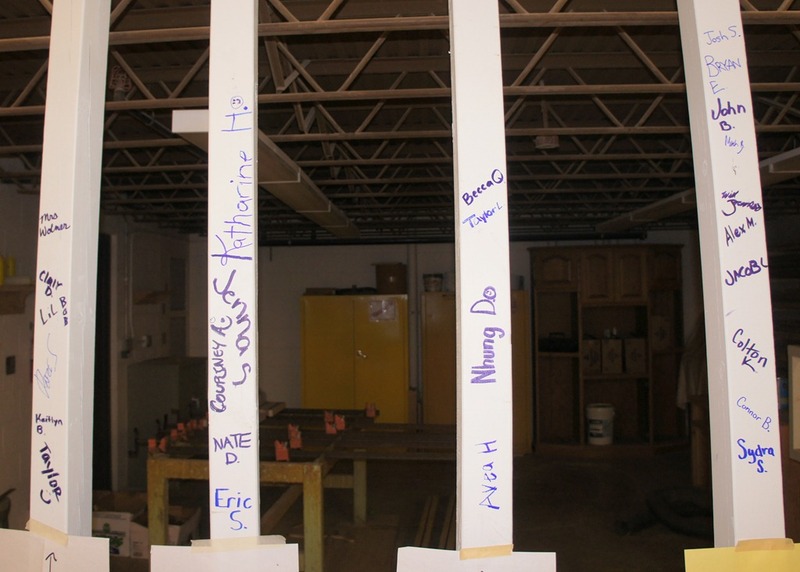 We will meet tomorrow in the high school Woods (shop) room for the unveiling and a pizza party to follow. Then, we will gather again at 4PM Sunday to install the new sign on the new property. 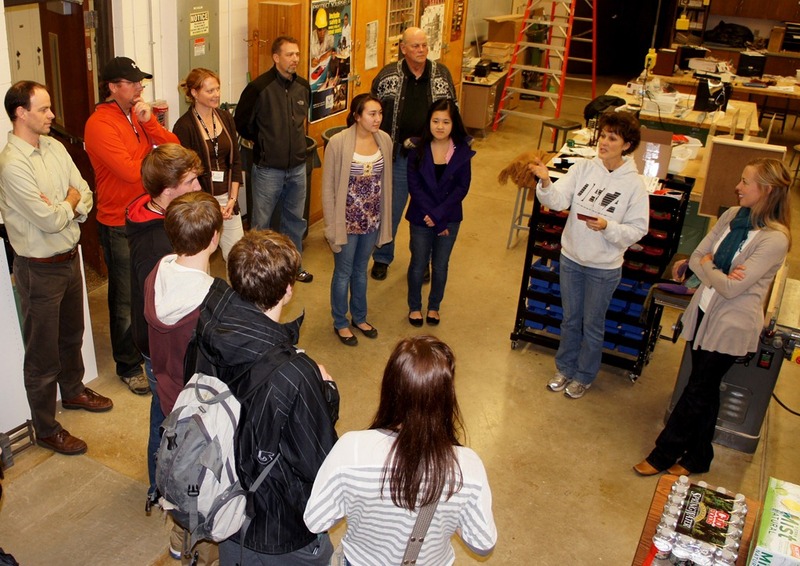 Julie Wolner is the business education teacher at Northfield High School (left photo, second from right) and staffs the Northfield High School DECA Club. She was the MC for the evening’s festivities. 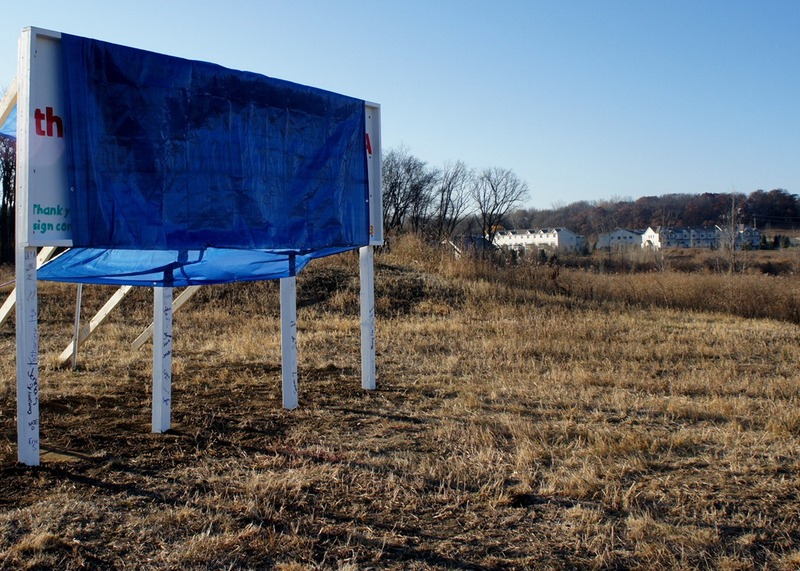 The sign was installed this morning on the future site for the Y (east of Target on Honey Locust Drive), but it’ll remain covered until the unveiling ceremony at 4 pm Sunday.